It’s one thing to talk about a new technology but it’s another thing to see it out in the wild. Some things sound great on paper but in reality they aren’t very interesting at all. Google has high hopes for VR and AR and Asus is making a splash with their upcoming Zenfone AR. So the AR technology is going to be the next big thing if you ask the “experts”. If you recall 3D was supposed to be the next big thing also and how many of us are sitting in our living rooms watching 3D television and movies? Yes, just as I suspected. The classroom environment is a massive market and with this Google promotional video, kids seems thrilled at AR technology. Some snippets of this video were played during the Google I/O keynote presentation but here is the full video. The kids seem genuinely impressed and excited. Considering they probably have around $5,000+ worth of smartphones in their classroom I would hope they are excited! Anything that can enhance learning for kids should be promoted. Schools can adopt technology to make learning more fun and perhaps Google AR is going to make that possible. There are many enterprise uses for AR and with it being a new technology, the next couple years is going to be an interesting time. Let’s see what the possibilities are! 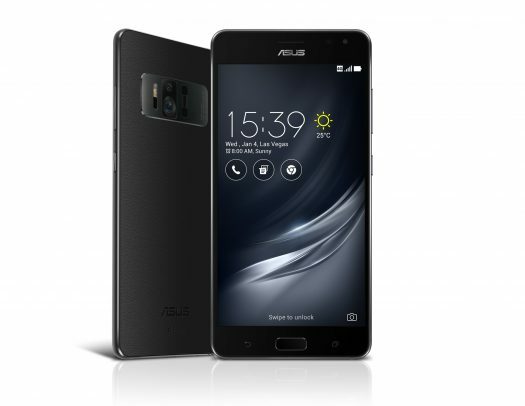 Price of the Zenfone AR is not yet known, however I suspect it would be in around the Zenfone 3 Deluxe pricing. It’s coming to the US as a Verizon exclusive this summer. An interesting thought is whether Google is going to help Asus lower the price on the device. Certainly Intel in the past has helped with pricing and it’s still unclear if Google might have the ability to help Asus lower the price on their Zenfone AR. It makes sense for Google to help this phone sell, that’s for sure.